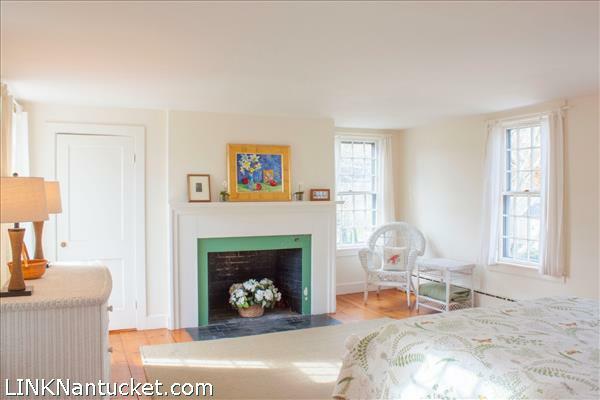 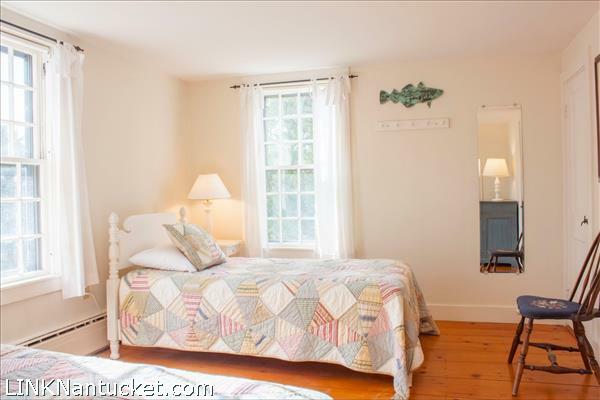 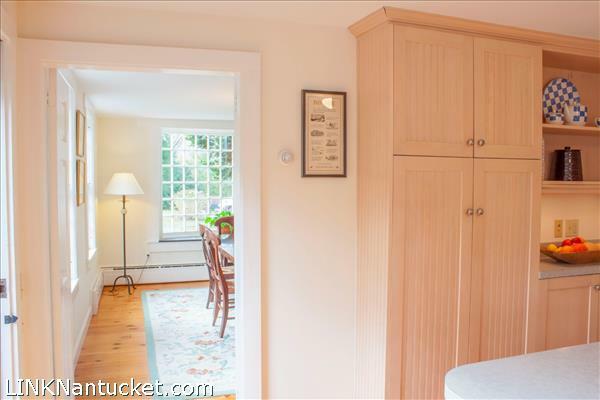 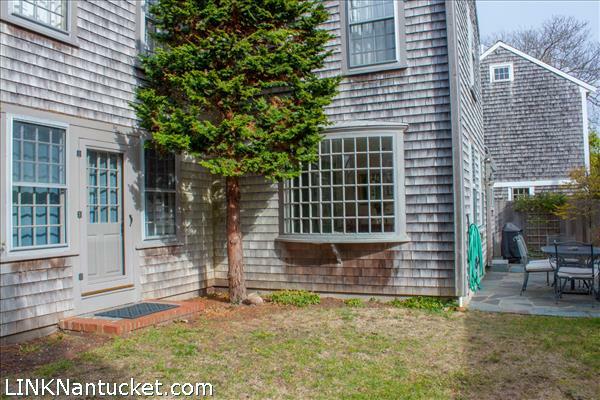 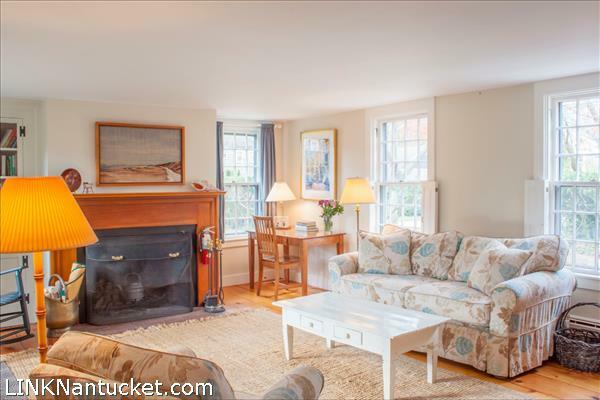 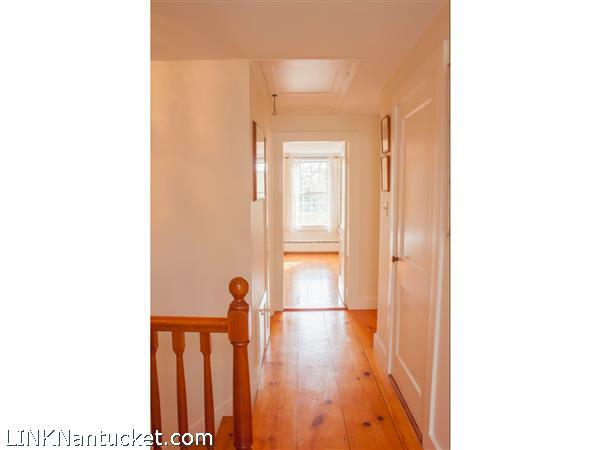 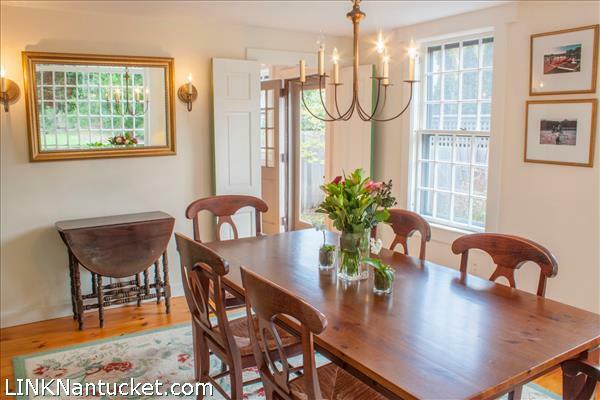 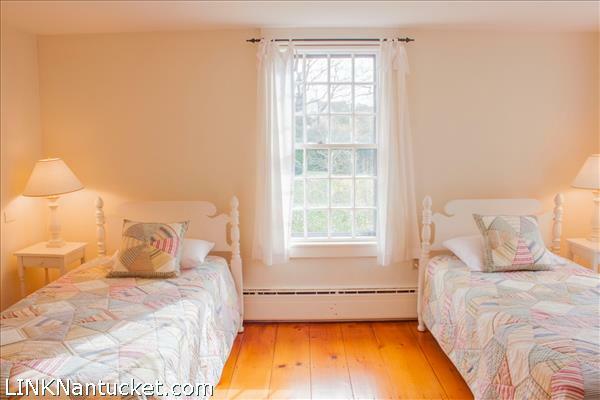 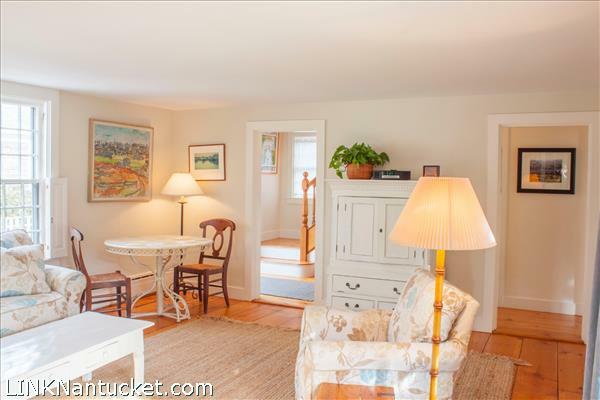 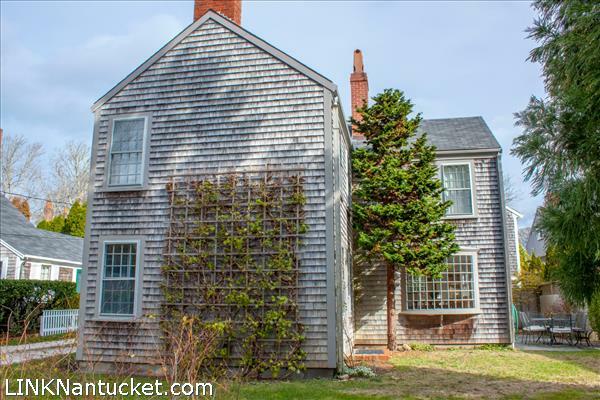 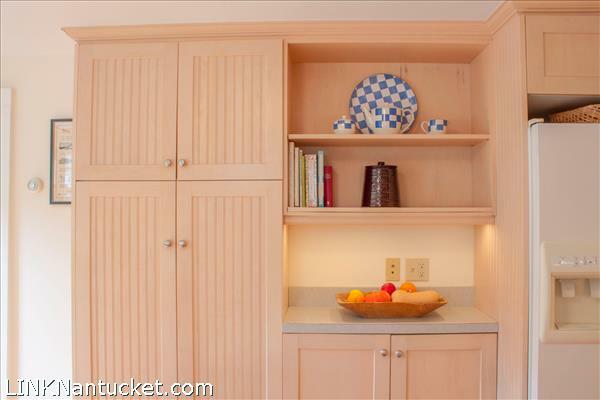 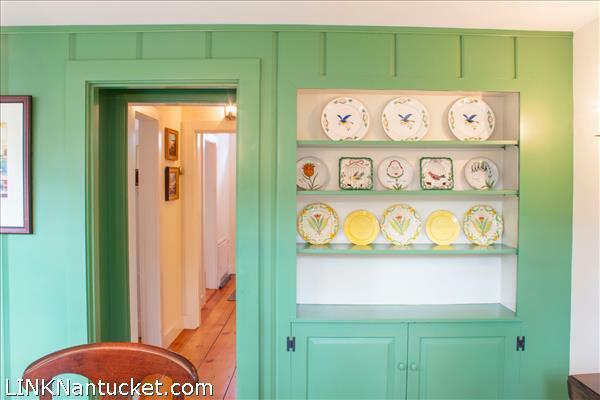 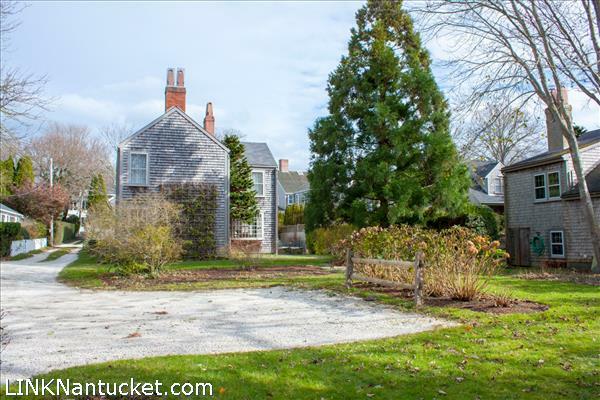 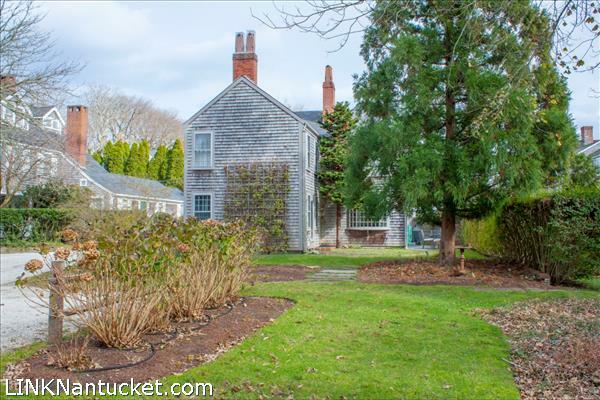 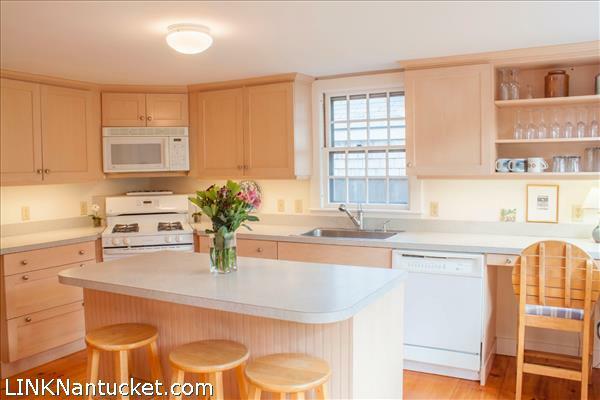 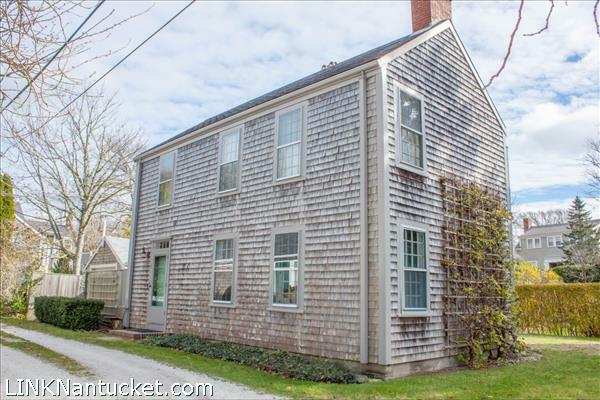 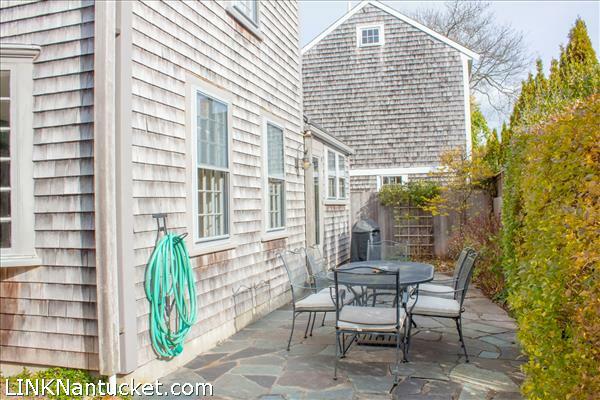 4 Starbuck Court is peacefully located on an idyllic shell drive, just off of Pleasant Street. 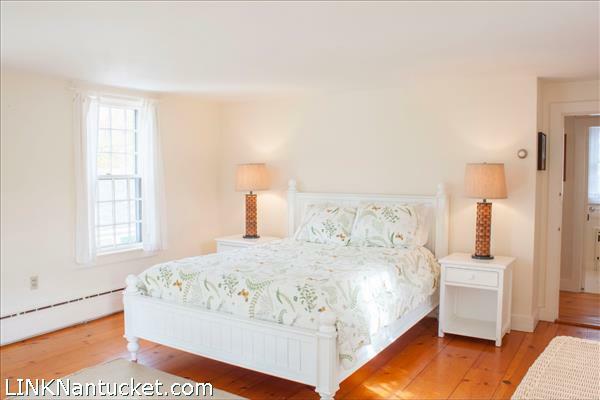 Whether you are interested in a sweet summer abode or a successful rental property, 4 Starbuck Court can offer that and more. 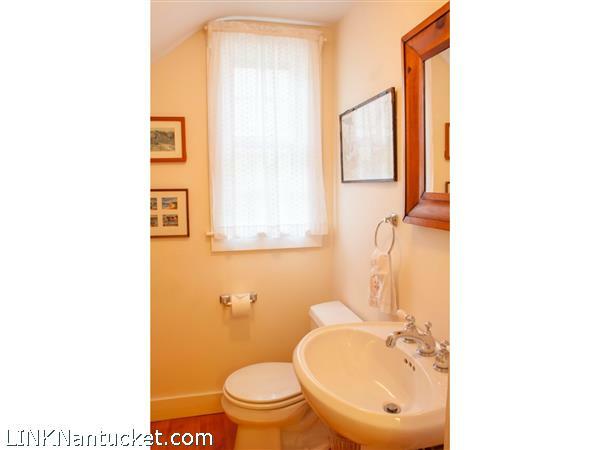 Less than a block from Main Street, enjoy the conveniences of being in Town, in a private setting. 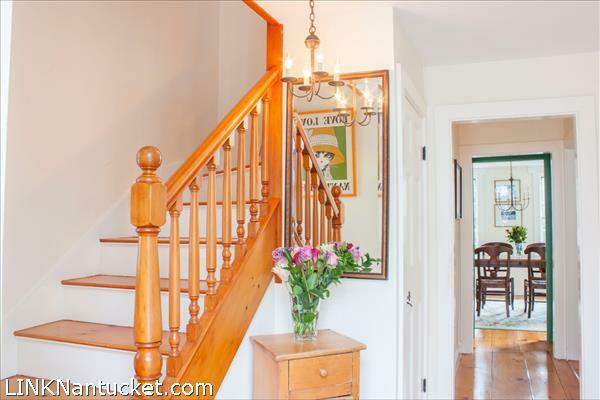 First Floor: Enter in to a light filled foyer. 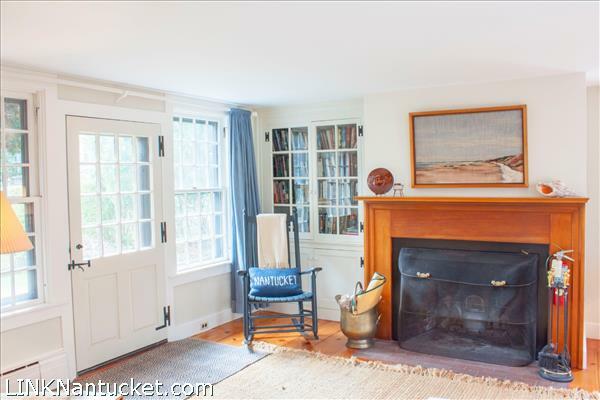 Off the entry is the living room, with windows on three sides, and a fireplace. 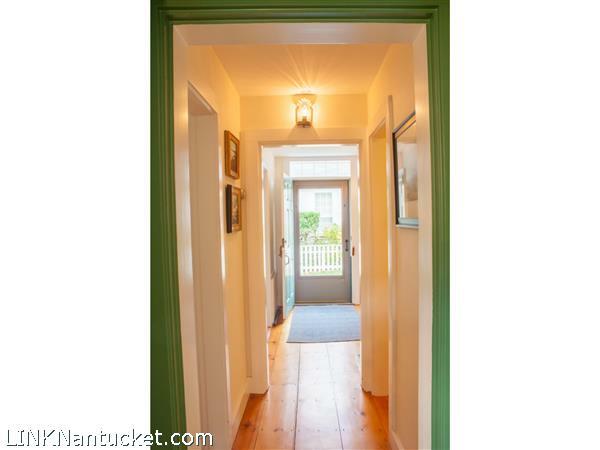 There is also a door leading to the back yard. 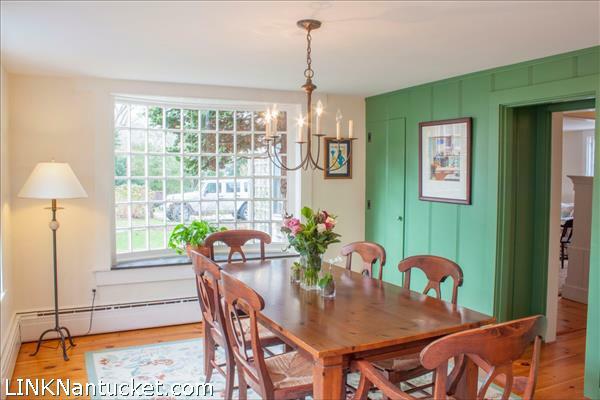 A formal dining room, with a large bay window, and separate kitchen are located at the rear of the house. 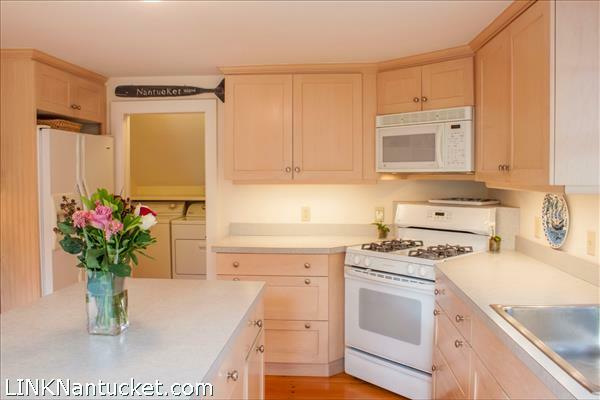 From the kitchen, there is access to the back patio and yard. 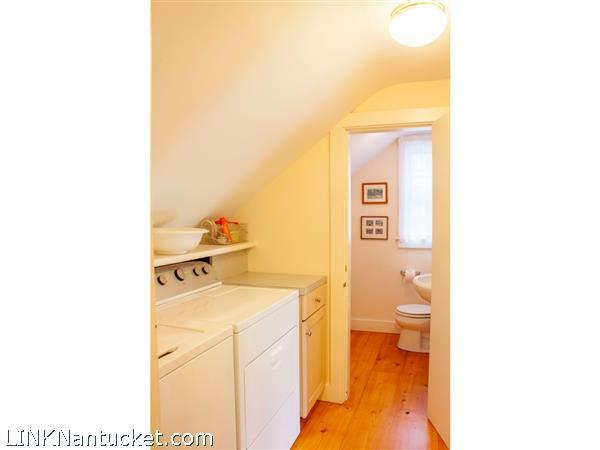 Laundry and half bath are located on the first floor. 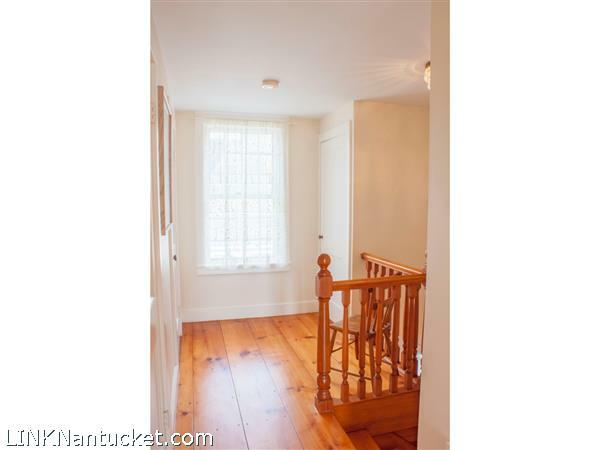 Second Floor: The second floor includes two bedrooms, one of which is a bright and spacious master, with a fireplace. 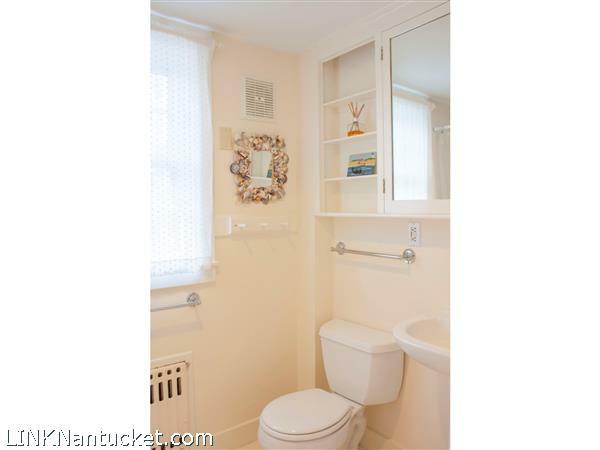 There is a full bathroom with a tub/shower and multiple closets, in the hall.